ANTYS 15 should be applied 2 to 4 times, every 8-10 days according to plant needs. 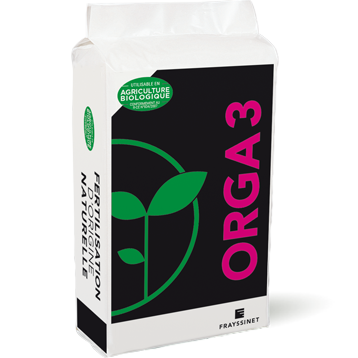 Foliar application from 3 to 5L/ha for vines, arboriculture, market gardening, large crops and from 0.5 to 1L/1000 m2 for green space at a 2,5 % dose. Watering at a 2 to 5‰ concentration (flowerbeds and flowered containers). Viticulture – As from sufficient growth of leaves. Arboriculture – As from sufficient growth of leaves. Vegetable crops – As from swelling stage. Large crops – From 5-6 leaf stage (corn). Last leaf stage on straw cereal (improves protein rates). Fodder crops – From 5-6 leaf stage (corn). Last leaf stage on straw cereal (improves protein rates). 5 litres bottles (carton of 4 x 5 litres – Pallet of 480 litres). 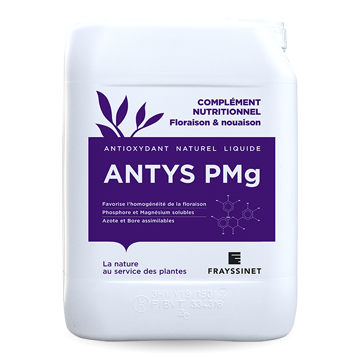 I use ANTYS 15 as a foliar supplement to limit the impact of water stress on the vine. This product proves to be very effective in fractional feed throughout the cycle of the plant.